Fun, fresh, and fast recipes for family dinners from the founder of The Chic Site, a lifestyle website, and the author of Upscale Downhome and New York Times bestseller Girl, Wash Your Face. Real life isn’t a series of stylized air-brushed photos. It's crazy, chaotic, beautiful, and funny, and it can knock you right off balance. But cooking and eating as a family has always been at real life's core. Making sure your family is fed makes a day a success, and truly taking the time to give them something wholesome and delicious is the ultimate pleasure. 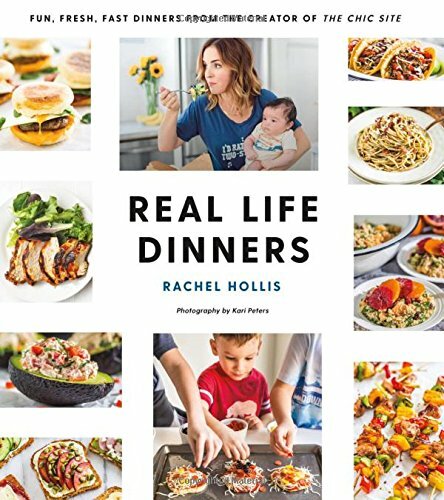 Rachel Hollis' Real Life Dinners is a cookbook that fits into your real daily life.